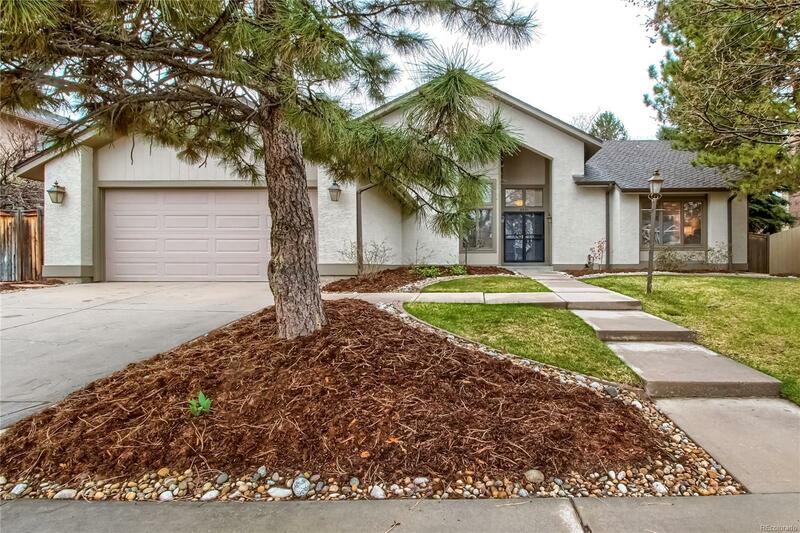 REMODELED & MOVE-IN READY pristine in DTC location with Cherry Creek schools! Youâll enjoy this gracious and beautifully updated Sundance Valley home. Custom updates thoughtfully and carefully made throughout. Upgrades include full kitchen upgrade, master bath, maple hardwood floors, new roof, exterior paint, refreshed landscaping, plus more. Spacious main floor features a master bedroom and an office/bedroom. With 3 additional bedrooms, 3 baths and a full basement, there is space to spread out. The backyard is a delight with room for pets and play. In the heart of Greenwood Village and the Denver Tech Center, this home is in the prestigious Cherry Creek School District. This quiet established neighborhood is just steps away from parks and trails. Walk to Tommy Davis Park with playground, tennis courts, pond and access to miles of trails. Easy commute! Minutes from I-25, 225 and Orchard Light Rail Station. Click on the movie-reel icons to see 3D walkthrough and Google Earth video. Basement Ceiling Height: 7' 10"